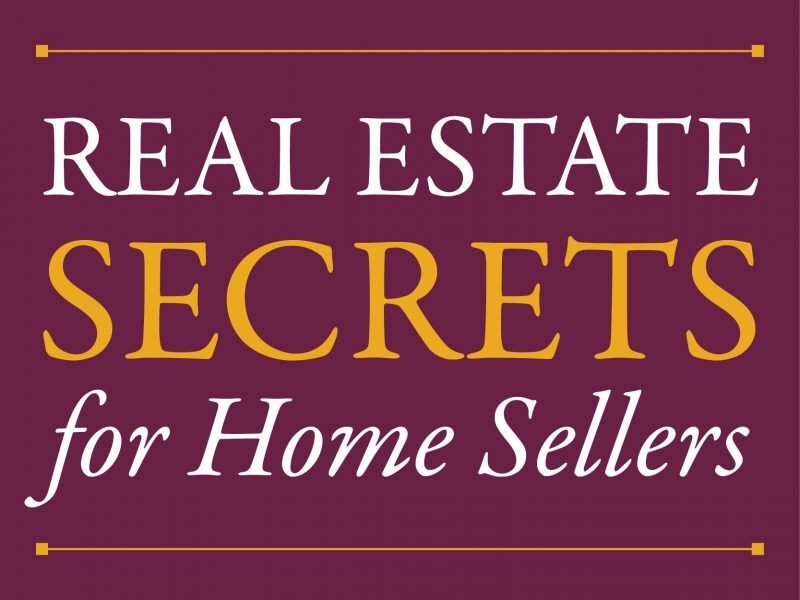 Real Estate: Knowing the top 6 real estate secrets, will help you sell your house faster and allow you to get more value from the commission dollars you pay your agent. #1: Real Estate Open Houses Don’t Work. Open houses are a thing of the past. Years ago, when you wanted to sell your home, the only way that buyers could see the inside of your home was to be invited to view your home via an open house or making an appointment with the agent listing your home. Now, if a buyer wants to see your home, they can just go online, to any of a dozen sites, and see the inside of your home without ever having to leave their living room. The truth is open houses don’t work! Real Estate agents host open houses not to sell your home, but to obtain additional clients who are looking to sell their homes (including your neighbors). The fact is, you are more likely to win the lottery than sell your home with an open house in most areas. #2: Marketing is Job Number 1. When you hire someone to sell your home, first make sure they are a Realtor and ask to see their Realtor card. There is a big difference between Realtors and Real Estate agents. Real Estate agents cannot list your home in the MLS, a database of homes for sale by participating Real Estate firms. Make sure you select a Realtor that truly understands marketing – proactive marketing. All agents use the internet, so that is no big deal. All listings will likely be on Realtor.com and Zillow. Have your agent do a S.W.O.T analysis for you, find out if they work full-time as a Realtor, and ask them what they do that DOES NOT involve the internet to sell your home. Find out how long they have been Realtors, and ask to see any 3 homes sold in each of the last four years. In a very short time, you will be able to sort through the wheat and chaff. Don’t be fooled by the most common secret. An agent will mention they work for a big firm, and therefore, your home will get more views on the internet. This is not true, in almost all cases, any home being listed by a Realtor will be listed on the website of all the Real Estate firms in the area and most national websites as well. So even if you list your home with “Mom and Pop Realty,” your home will show up on even the big companies’ Real estate websites. #3: Discount Brokers/Limited Service Brokers Can Be a Good Choice. Regardless of what the industry tells you (including real estate agents) these firms have a place at the dinner table and serve a vital function in the industry. Let’s be honest – all people are a little frugal, and if you could find a cheaper alternative to paying a Realtor, you would. On occasion, discount brokers/limited service brokers can save you money. Scenario 1: You have a home under $120,000 (don’t be jealous, Californians and New Yorkers). If the agent only nets $640 on the deal, how much time can you reasonably expect them to spend on your behalf selling your home? In this case, using a limited service broker could save you $2000+ dollars on the listing side after the cost of the limited broker fees and expenses are deducted. Scenario 2: You are in a super hot market. #4: All Agents Are NOT Created Equal. What is dual agency? And do you practice dual agency? What is the difference between due diligence and earnest money? And what happens if a buyer cancels the contract? Am I required to do repairs on my house, or is my home sold as-is? Show me the marketing plan for my home, not a generic presentation. Many first time home buyers rely on programs to offer 1st time buyer assistance. Buyers assume that the programs provide down-payment assistance or money for closing cost. Many buyers do not realize that the money they receive is often a low or no interest loan. Since the money is often a loan, buyers may have higher than expected monthly fees or residency requirements that dictate how long the buyer must stay in the home. When using a first time buyers assistance program, always ask if the money comes with conditions AND ask for a comparison of your monthly mortgage with and without the assistance provided. #6: For Sale By Owner (FSBO) Homes MAY NOT Save Money and Time.